You can be confident that your treatment will be carried out by a highly trained and qualified physiotherapist, who is Chartered and registered with the Health Care Professions Council. (MCSP, HCPC). I have been having maintenance physiotherapy treatment from Simon once a month for some time now . His systematic approach to my treatment has helped reduce and manage my back pain and headaches. I would definitely recommend Simon to provide successful treatment. Regular assessment of my pillows has also helped to reduce back and neck pain. We are committed to ongoing training, keeping abreast of the latest developments in treatment and advances in technology. We reguarly attend training courses and monthly CPD meetings to update our physiotherapy clinical skills and knowledge. We are registered with all private health schemes eg Simply Health, BUPA , Nuffield and AXA PPP etc. Our BUPA provider is Simon Glover, whose name should be given when calling your insurer. The clinic also has good links to GPs, consultants and podiatrists which may be used where necessary. Since graduating from Nottingham university in 2000 Simon has spent the last 15 years specialising in Musculoskeletal physiotherapy, including the treatment of back pain, neck pain and treating sports injuries with rehabilitation. Simon is also a member of the Association of Physiotherapists in Occupational Health and Ergonomics, and is registered to provide Ergonomic Desk Assessments and advice. Simon is a keen sportsman, being a member of a golf club and a running club, and a gym enthusiast. He has competed in the London Marathon and the Leeds Triathlon and has a specific interest and knowledge in running, triathlon and golfing injuries, as well as treating all types of back pain, neck pain and whiplash. Simon reguarly attends training courses and lectures to keep his clinical skills and knowledge up to date. 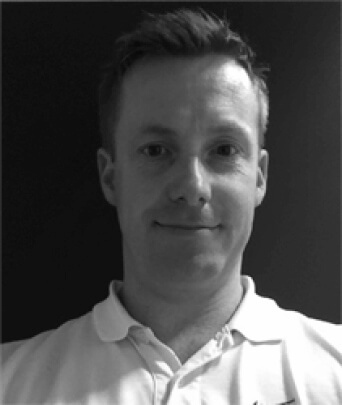 Simon is a “hands on” physiotherapist, preferring to use specific soft tissue massage and joint mobilisation to heal injuries, using ultrasound where necessary. He then prescribes specific exercises for the patient to continue with to prevent reoccurence of the injury. Simon’s team of physiotherapists, aim to ensure that treatment is individually tailored to suit every patients needs. There is a strong emphasis on finding the cause of the problem where possible to help prevent recurrences. The Physiotherapist can also offer tailored and supervised rehabilitation programmes in a state of the art gym. 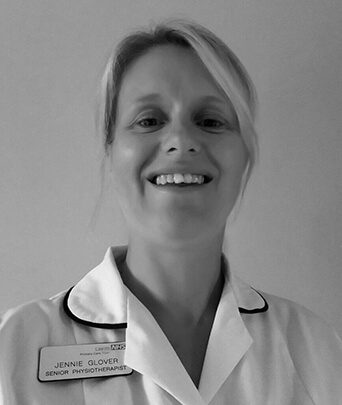 Jennie graduated from Bradford University in 2000 with a degree in physiotherapy and has worked in the NHS Leeds teaching hospitals since then . She has completed a masters degree in rehabilitation, and her Pilates matwork accreditation level 1, 2, 3 and examination with APPI – the Australian physiotherapy and Pilates institute . Jennie teaches the Pilates classes at Colton on Tuesday evenings.